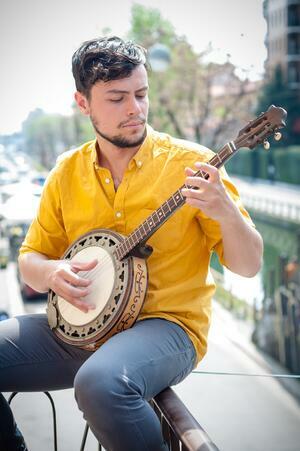 Explore the exciting worlds of Bluegrass, Country, Folk, or Irish Traditional music with the Banjo! This four-, five-, or six-stringed instrument has a characteristically percussive sound unlike that of any other plucked stringed instrument. Banjo Lessons are available in our Flemington and Lebanon locations. Choose between 30, 45, or 60-minute weekly Banjo Lessons. To get started, fill out the form on this page or call us at (908) 782-4943! Schedule Your First Banjo Lesson Today!